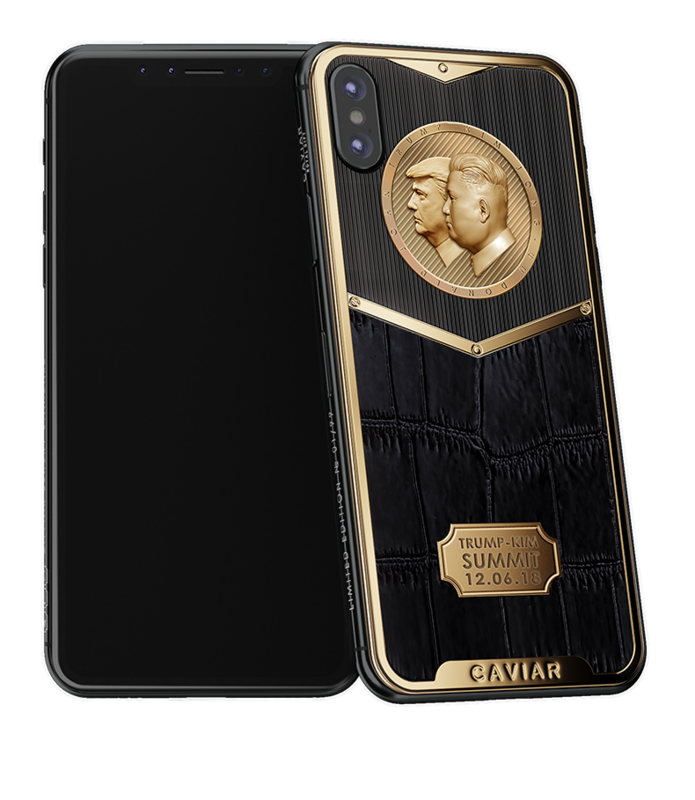 Like the whole progressive mankind, Caviar stands for a positive, friendly and workable environment in the world, which is why in honor of the meeting of these two leaders – Donald Trump and Kim Jong-un, the exclusive model iPhone X Pacific Edition was created. 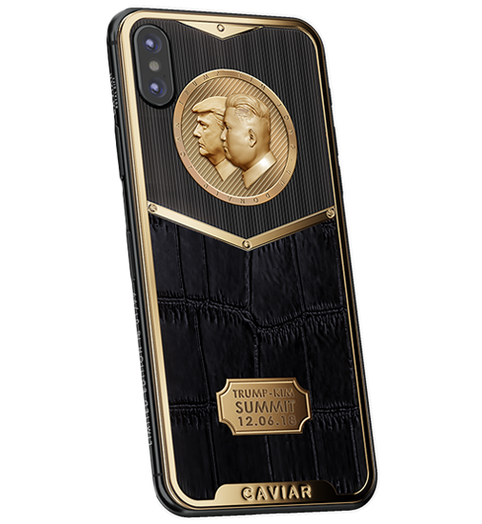 In the design of this smartphone, the classic combination of the black and gold color was used, the harmony of which expressively reflects the majesty and festivity of the moment; two volumetric side-faces covered with gold – the portraits of Trump and Kim Jong-un are made with the whole accuracy and delicacy. There is also a commemorative inscription with the date of the leaders’ meeting on the body. 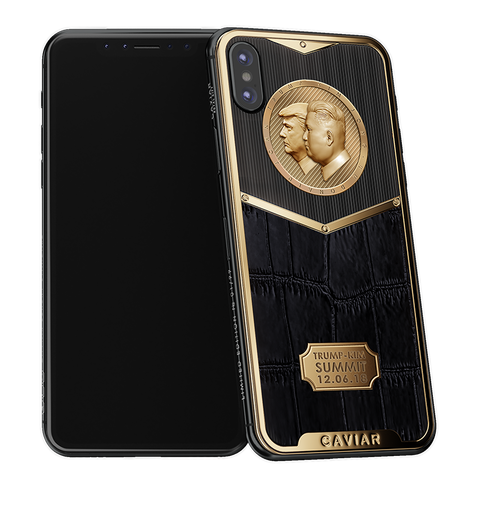 The materials used by the designers to implement this idea are gold-plating, black composite onyx and natural alligator leather of black color. Relief double portrait of D.Trump and Kim Jong-un made in Renaissance sculptural technique. Double gold coating by Double Electroplated technology (24-carat, 7 microns). 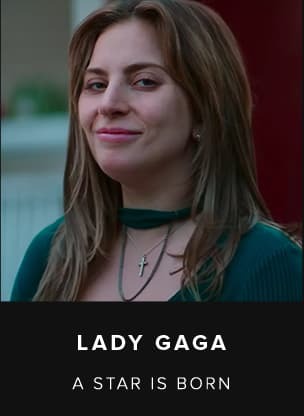 Natural alligator leather, gold-plated elements, artificial onyx. 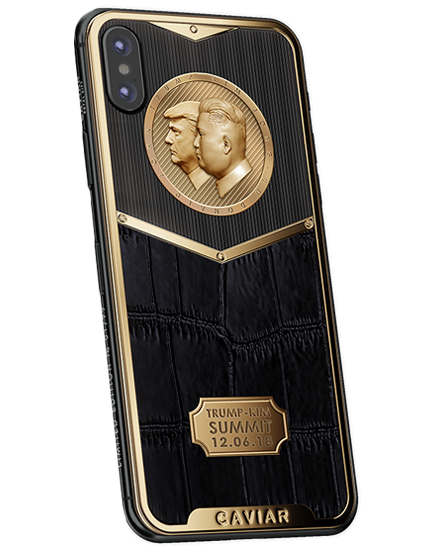 Engraving of the date of Summit Trump-Kim in 2018. Golden double coat by Double Electroplated technology (999 standard, 7 microns).